France has long been an Israeli colony through the powerful Jewish lobby and several Zionist Jewish leaders. Sarkozy was a Crypto Jew, while Hollande and Fabius are committed Zionist Jews. 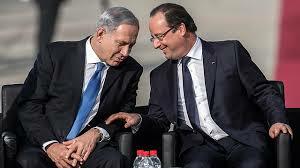 These French traitors would do Israel's bidding whenever they can. It was Fabius who derailed the second Geneva conference between P5+1 and Iran. Fabius claimed that Israel’s security concerns could not be ignored at the Geneva talks. The "security concerns" of an illegal entity which has a stockpile of 400 nukes and has invaded all its neighbors during the last 65 years. Alan, As per usual, You Have proven You have a Way with Words ! Yes, YOU Hit The proverbial Nail on The Head..With Your SO "right-on 'Comparison Of Politics and Prostitution >>>but Just as YOU So Aptly Pointed out " Don`t put the prosties in the same Category as Politicians ! For they Could Well Take Offense At the Comparison !! How much Longer Are we Going to Be Forced to Contend with b. Netty And Isitreal ?? I think A HEX is in Order for b.Netty. And I am going to Give him one he won`t be able to ignore...or dodge. It is One his Actions have Well-earned. GoodBye, Netty ! Any time there's any doubt over something like a diagnosis of death of someone famous but threatening or embarrassing to members of some elite one automatically smells a rats' nest. How can France and other zionists explain the extremely high levels of polonium (18 times normal) in Arafat's personal effects? Coincidence? Moldy falafel? What blatant political manipulation of science! Alan, it's good to see you're still around and as sharp as ever! As for the rude language...I'm delighted to see that some of the(intentionally)highly offensive terms I've been using for years to describe the meretricious relationship between "free" Europe and its masters is beginning to filter into the consciousness of those more awake& alert. Keep going! Although i don't put it past the Israelis to kill Arafat I don't think they would have done it. It doesn't make sense. He was more useful to Israel alive than dead. From a public relations point of view he was Israel's foil and they benefited from having him as the leader, and "face" of the Palestinians. @ Mike - Who else has better assassination record than Israel? Allison: "...explain the extremely high levels of polonium (18 times normal) in Arafat's personal effects..."
The anti-Israel pundit Eric Margolis, provided a list of Arafat's health problems 6 years before he died. This makes it quite likely that natural causes carried Arafat off, despite the keenness of Israel haters (Margolis included) to pin the blame on their nemesis.